Charming ”Lock & Go” condominium located in Hassayampa Village just a short drive to the downtown Prescott square. Lowest priced home in all of Hassayampa. Overlooks 14th green and fairway at Capital Canyon Golf Club. Views of Ponderosa Pines and mountains from rear covered balcony. Single level floor plan with stairs from 1 car garage. Fireplace and cathedral ceilings in great room. Maple cabinets, tile counters and brand new stainless appliances with full manufacturer’s warranty. Buyer receives brand new carpet at at COE. You choose color. Additional flooring upgrades available with sample inside home. Brand new interior paint. Golf & social memberships available at Capital Canyon Golf Club. HOA dues include water, sewer, trash, exterior of building, roof and landscaping. Approximate size: 871.00 sq. ft. Please, send me more information on this property: MLS# 5904873 – $279,900 – 1755 Rustic Timbers Lane Unit 203, Prescott, AZ 86303. 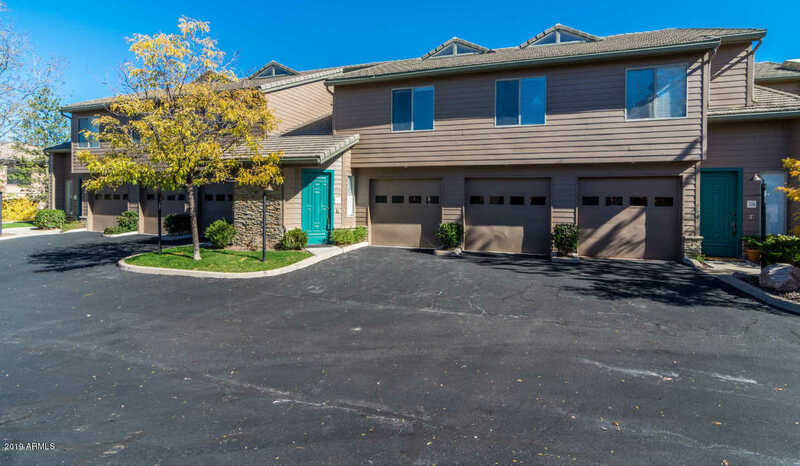 I would like to schedule a showing appointment for this property: MLS# 5904873 – $279,900 – 1755 Rustic Timbers Lane Unit 203, Prescott, AZ 86303.